Tesla Motors put out in its latest quarterly report Tuesday a more conservative estimate for its annual sales target, lowering its goal for the year by about 3,000 vehicles. But the Silicon Valley maker of electric cars also reported a record quarter for production, which led market watchers to suspect the company reeled back investor expectations to beat its own forecast in the last three months of the year. Stock in Tesla Motors Inc. (NASDAQ:TSLA) hit a two-week high in aftermarket trading, rising more than 10 percent to $230.30 as investors cheered the company’s July-September quarterly results. Tesla reported an adjusted net loss of $75 million in the third quarter, or a loss of 58 cents per share, down from an adjusted gain of $3.17 million, or 3 cents per share, in the same period last year. Analysts polled by Thomson Reuters had expected a $55.5 million adjusted loss in the quarter. Under generally accepted accounting principles, which excludes certain definitions of quarterly revenue, Tesla reported a $230 million loss, or $1.78 per share, multiplying a loss of $74.7 million, or a loss of 52 cents per share in the same quarter last year. Wall Street expected an unadjusted loss of $95.5 million. Analysts lowered their 2015 sales expectations ahead of Tesla’s earnings report, citing Model X production challenges and the blowback from a recent Consumer Reports review claiming that despite Tesla’s highly praised customer service model, the Model S has reliability weaknesses. Baird expects a steep jump in fourth-quarter sales, to as much as 19,500 units, up from 11,603 vehicles in the third quarter, including 1,000 of the new Model X sport utility vehicle. Early-adopting customers began receiving the Model X at the end of September. 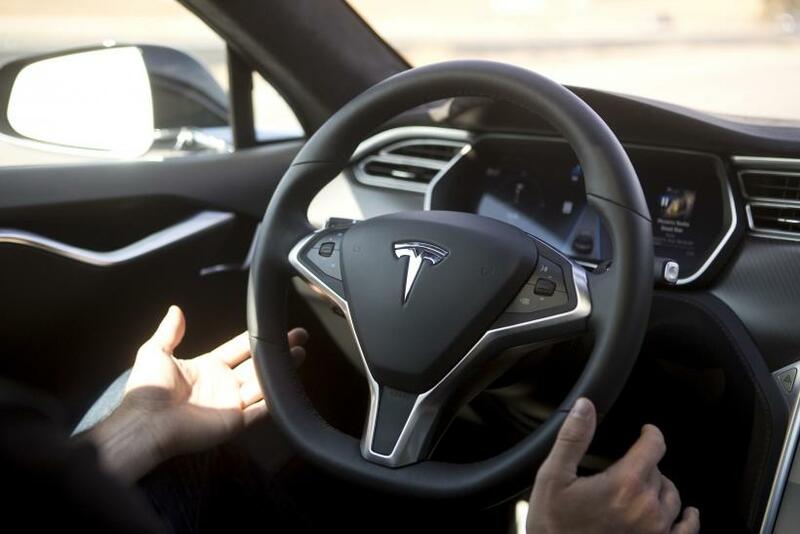 Tesla said it manufactured a record 13,091 vehicles in the quarter. Tesla is bleeding cash as it works simultaneously on a few costly projects, including building out its network of charging stations and retail stores, building the world’s largest single lithium ion battery factory in Nevada under partnership with Japan’s Panasonic Corp. and developing its $35,000 Model 3, its crucial lower-cost electric car due for 2018 delivery. Tesla raised $275 million in the third quarter on new stock it issued over the summer, helping to stem the cash bleed. But the company managed for the first time since the second quarter of 2014 to increase its cash reserve, to about $1.43 billion in the third quarter, from $1.15 billion at the end of June. Still, the company has more than $900 million less as of Sept. 30 than it did last year. Current liabilities, what the company owes over the next 12 months, declined slightly, but Tesla still owes in the short term about more than $900 million than it did this time last year. In the third quarter, spending was focused primarily on “capacity expansion and tooling associated with the Model X, as well as construction of the Gigafactory,” the company said in a shareholder letter. Bob Lutz, for one, thinks Tesla Motors is doomed. The well-known auto executive, who served among the elites at General Motors, BMW, Ford and Chrysler, cited several reasons why he thinks Elon Musk's luxury electric carmaker is destined to join a long list of failed automotive ventures. Lutz predicted in 2008 a big rise in motor vehicle electrification and oversaw GM’s construction of the Chevrolet Volt plug-in gas-electric hybrid. But there are plenty of others who believe in the Tesla story.